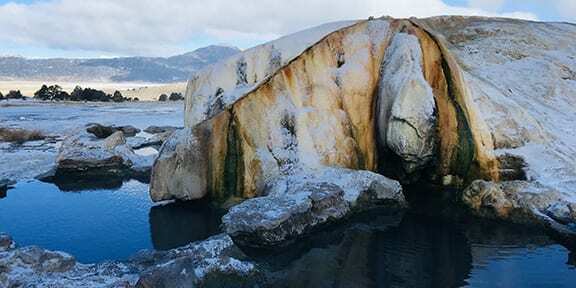 Jiayan Zhao shares this photo of the Travertine Hot Springs in Bridgeport, Ca., One of the places he visited over the holiday break. It’s not too late to apply for UROC positions this semester—several still have openings. For details, visit the UROC site. Gamma Theta Upsilon Geography Honors Society is holding their first general meeting of the semester on Tuesday, January 22 in 110 Walker Building at 7:00 pm. New grad reps elected: Saumya Vaishnava and Jamie Peeler will join Mark Simpson, Peter Backhaus, and Jiawei (jade) Huang to continue all the work and services for graduate students in the department. 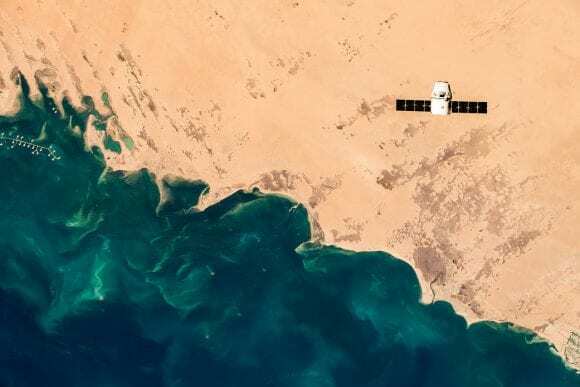 There is a growing torrent of geospatial data on ecosystems, species and threats from a variety of remote sensing, GIS, mobile and cloud platforms. However, we need a standard framework for converting these big data into meaningful, useful and actionable information for decision makers. In this presentation I will use more than twenty years of conservation action planning, village land use planning and participatory action research efforts by the Jane Goodall Institute in Tanzania and Uganda, to discuss how geospatial technologies interact with traditional knowledge and local decision making processes to support people livelihoods and protect chimpanzees. The AAG bestows an annual award recognizing an individual geographer, group, or department, who demonstrates extraordinary leadership in building supportive academic and professional environments and in guiding the academic or professional growth of their students and junior colleagues. The late Susan Hardwick was the inaugural Excellence in Mentoring awardee. The Award was renamed in her honor and memory, soon after her passing. Dr. Lorraine Dowler not only mentors at all levels (early career faculty, her own students, and students that were/are not her own-outside her university), but is a strong advocate for her advisees, the greater student body (undergraduate and graduate), and the AAG community. As mentioned in one of her letters of support, she is committed to the holistic development of her advisees, while another notes that she pays particular attention to the mental, physical, and emotional well-being of those with whom she interacts, especially new faculty learning to balance the demands of academia. Outside of her tireless advocacy for students and colleagues, she continues to advise, research, publish, and contribute to the field of geography. She continues to go over and beyond what is expected. The growing need for efficient and effective human decision-makers warrants a better understanding of how decision support systems (DSS) guide users to improved decisions. Decision support approaches utilize visual aids to assist decision-making, including trade-off diagrams. These visualizations help comprehension of key trade-offs among decision alternatives. However, little is known about the role of trade-off diagrams in human decision-making and the best way to present them. Here, we discuss an empirical study with two goals: 1) evaluating DSS interactivity and 2) identifying decision-making strategies with trade-off diagrams. We specifically investigate the value of interface interactivity and problem context as users make nine increasingly complex decisions. Our results suggest that problem context and interactivity separately influence ability to navigate trade-off diagrams. 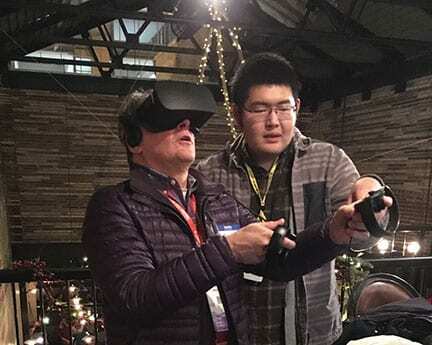 Jiayan Zhao (right) demonstrates the use of VR technology and the Thrihnukagigur Volcano geology lesson at the Penn State reception during the American Geophysical Union fall 2018 meeting in December. Zachary Goldberg has reviewed the book, One Straw Revolution, in the Graduate Journal of Food Studies. SWIG would like to extend a huge thank you to all who contributed to the Centre Safe Holiday Sponsorship Program this year. We raised a total of $300 (far exceeding our goal of $250!) to support the family we were paired with for the program. Penn State researchers from all disciplines are getting involved in the Food-Energy-Water (FEW) nexus. Considering the intricate nature of FEW, many researchers believe that an interdisciplinary approach is critical. FEW is complex because each facet is critical and is tightly linked to the others. A change in one facet will likely trigger a change in one or both of the others, making solutions more difficult to determine. National Geographic Documentary Films distributed Bloomberg Philanthropies’ second film, Paris to Pittsburgh, starting on Wednesday, December 12 in the U.S. and globally in 172 countries and 43 languages. 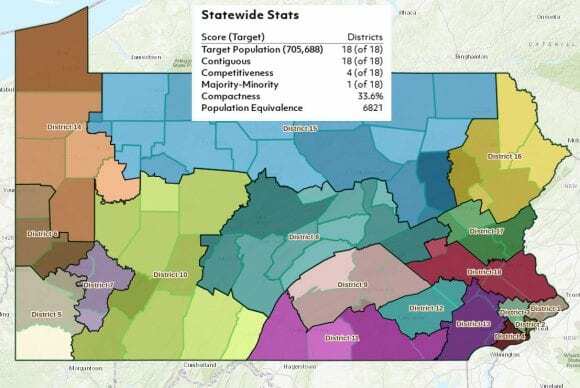 Paris to Pittsburgh brings to life the impassioned efforts of individuals who are battling the most severe threats of climate change in their own backyards. Set against the national debate over the United States’ energy future — and the Trump administration’s explosive decision to exit the Paris Climate Agreement — the film captures what’s at stake for communities around the country and the inspiring ways Americans are responding. Social impact investing differentiates itself from traditional investing by claiming to create public social benefits alongside private profits. Globally, municipal governments are increasingly looking to this model to fund urban social services and poverty management. Through a case study of social impact investing in affordable housing in the San Francisco Bay Area, I deconstruct the financial and ideological underpinnings of this model to understand how private profits are drawn from local geographies of impoverishment. Analyzing social impact investing as a poverty politics reveals how it places preexisting, state-subsidized systems of poverty management into social impact investing portfolios, dividing impoverished spaces into new hierarchies of deservingness by incorporating private investors’ visions of what will help low-income tenants. But these processes also fail to subsume social life within housing financed in this manner, as tenant practices subverting those idealized by the state and investors persist alongside the generation of private profits. Polar low (PL) storms are an important feature of the wintertime sub‐synoptic scale atmospheric circulation of middle and higher latitude ocean areas. They can generate hazardous conditions impacting coastal and marine activities like fishing, transport and oil extraction. However, there are few studies available of individual PL systems based on high resolution maritime surface data. Accordingly, the meteorological impacts of 29 PLs have been investigated for the 14 winters 1999‐2013, using in‐situ measurements at 8 stations in the Norwegian and North Seas. On average, the highest wind speed (WS) and significant wave height (SWH) occur following the minimum in sea level pressure (SLP) of the PL, respectively 1 and 3 hours after its passage. The strongest WS averages 17.1 m/s and the highest peak SWH is 6.3 m, but these can reach 31 m/s and 11 m, respectively. PL characteristics of system horizontal extent, propagation speed, and the larger‐scale atmospheric circulation environment, explain the large inter‐case differences. Large, multiple, and fast moving PLs within a meridional circulation environment appear to generate stronger near‐surface winds and higher waves than do small, single and slow moving PLs within a zonal circulation. Multiple systems may have the largest impacts (e.g., SWH > 8 m), although a larger sample size is required to confirm this possibility. The impacts of PLs on sea surface temperature (SST) are quite small and are difficult to interpret separate from the background SST variation. The observed SST decrease may be mainly caused by the cold air outbreak within which the PL is embedded; indeed, a positive SST minus air temperature (AT) anomaly is found during the 24 hours preceding the passage of PL vortices, indicating enhanced low‐level atmospheric instability. Knowledge of how tree groups and gaps are formed and maintained in frequent-fire forests is key to managing for heterogeneous and resilient forest conditions. This research quantifies changes in tree group and gap spatial structure and abundance of ponderosa pine (Pinus ponderosa) and California black oak (Quercus kelloggii) with stand development after wildfires in 1990 and 1994 in an old-growth forest in the Ishi Wilderness, southern Cascades, California. Forest demography and tree group and gap structure were quantified by measuring, mapping, and aging trees in six 1-ha permanent plots in 2000 and 2016. Tree recruitment, mortality, and growth were estimated using demographic models and spatial characteristics including gap structure were identified using an inter-tree distance algorithm and the empty space function. Potential fire behavior and effects in 2016 were estimated to determine if the current forest would be resilient to a wildfire in the near future. Development programs and policies can influence smallholder producers’ abilities to adapt to climate change. However, gaps remain in understanding how households’ adaptive capacities can become uneven. This paper investigates how development transitions—such as the recent adoption of ‘green revolution’ agricultural policies throughout sub-Saharan Africa—intersect with cross-scale social-environmental processes to unevenly shape smallholders’ adaptive capacities and adaptation pathways. Drawing on quantitative and qualitative material from a multi-season study in Rwanda, we investigate smallholder adaptation processes amid a suite of rural development interventions. Our study finds that adaptive capacities arise differentially across livelihood groups in the context of evolving environmental, social, and political economic processes. We show how social institutions play key roles in shaping differential adaptation pathways by enabling and/or constraining opportunities for smallholders to adapt livelihood and land use strategies. Specifically, Rwanda’s Crop Intensification Program enables some wealthier households to adapt livelihoods by generating income through commercial agriculture. At the same time, deactivation of local risk management institutions has diminished climate risk management options for most households. To build and employ alternate livelihood practices such as commercial agriculture and planting woodlots for charcoal production, smallholders must negotiate new institutions, a prerequisite for which is access to capitals (land, labor, and nonfarm income). Those without entitlements to these are pulled deeper into poverty with each successive climatic shock. This illustrates that adaptive capacity is not a static, quantifiable entity that exists in households. We argue that reconceptualizing adaptive capacity as a dynamic, social-environmental process that emerges in places can help clarify complex linkages among development policies, livelihoods, and adaptation pathways. To ensure more equitable and climate-resilient agricultural development, we stress the need to reformulate policies with careful attention to how power structures and entrenched social inequalities can lead to smallholders’ uneven capacities to adapt to climate change. King, B., Yurco, K., Young, K.R. et al. Variability in environmental phenomena such as fire, flooding, and weather-related events can have significant impacts for social and environmental systems and their coupled interactions. Livelihoods systems reliant on the natural environment can be disrupted or eliminated, while associated governance regimes require negotiation to ensure equitable and sustainable management responses. These patterns can be particularly pronounced within areas prone to flooding, as these sites can experience variability in the location, timing, amount, and duration of flooding events. While research within the social and natural sciences has evaluated these dynamics within flooding regimes, the coupled interactions can be underemphasized even though they are integral in producing livelihood systems and possibilities for environmental management. This paper details research conducted from 2011 to 2016 in five villages located in different locations within the Okavango Delta of Botswana. We report the findings from qualitative interviewing and livelihood mapping activities that are integrated with remote sensing analysis to provide concrete empirical detail on the variability of flooding and resulting variations in perception and livelihood responses. The paper demonstrates that flooding dynamics vary at discrete locations and produce diverse perceptions that are tied to livelihood adjustments in place-specific ways. These patterns are also embedded in regional and global processes that have significant implications for household vulnerability within socio-ecological systems strongly impacted by local and distant climatic and hydrological drivers of change. This paper investigates the feasibility, from a user perspective, of integrating a heterogeneous information network mining (HINM) technique into SensePlace3 (SP3), a web-based geovisual analytics environment. The core contribution of this paper is a user study that determines whether an analyst with minimal background can comprehend the network data modeling metaphors employed by the resulting system, whether they can employ said metaphors to explore spatial data, and whether they can interpret the results of such spatial analysis correctly. This study confirms that all of the above is, indeed, possible, and provides empirical evidence about the importance of a hands-on tutorial and a graphical approach to explaining data modeling metaphors in the successful adoption of advanced data mining techniques. Analysis of outcomes of data exploration by the study participants also demonstrates the kinds of insights that a visual interface to HINM can enable. A second contribution is a realistic case study that demonstrates that our HINM approach (made accessible through a visual interface that provides immediate visual feedback for user queries), produces a clear and a positive difference in the outcome of spatial analysis. Although this study does not aim to validate HINM as a data modeling approach (there is considerable evidence for this in existing literature), the results of the case study suggest that HINM holds promise in the (geo)visual analytics domain as well, particularly when integrated into geovisual analytics applications. A third contribution is a user study protocol that is based on and improves upon the current methodological state of the art. This protocol includes a hands-on tutorial and a set of realistic data analysis tasks. Detailed evaluation protocols are rare in geovisual analytics (and in visual analytics more broadly), with most studies reviewed in this paper failing to provide sufficient details for study replication or comparison work.